BeeINSIGHT developed an interactive video-mapping and 4 multi-touch tables, installed in a museum, opening soon in Doha, Qatar. 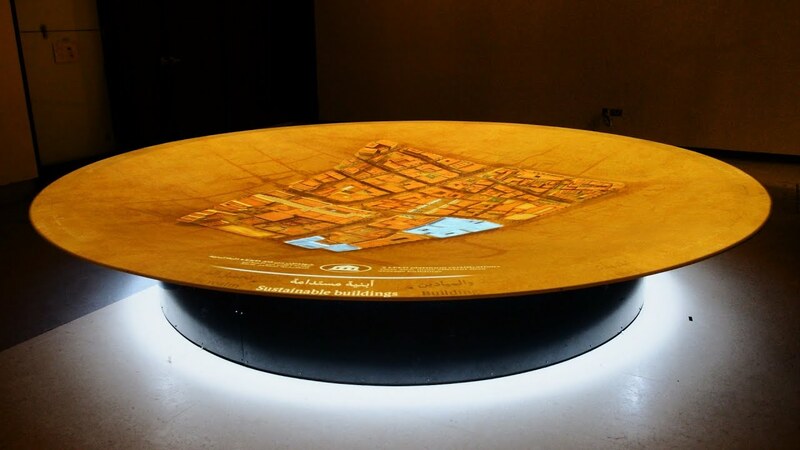 The interactive video mapping is projected in a huge table that looks like a dish. Up to 8 visitors can explore information at the same time about a neighbourhood in Doha by waving their hands over the table. The total resolution of the projection is 3000x3000 pixels and up to 8 large video layers and many small animations are simultaneously displayed. The 4 multi-touch tables have many interactive elements such as books, photos, maps, chalk boards and more.